Who knew almost 30 years on it would still be a top phone? 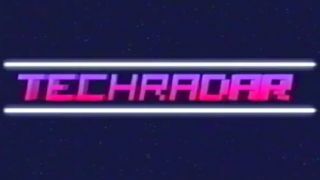 Today, TechRadar can exclusively reveal a lost Samsung Galaxy S3 advert, dating all the way back to 1985. Although almost 30 years old, the Galaxy S3 has managed to stay under-wraps for the better part of three decades, with rumours about its arrival only beginning to leak six months ago. Tucked away under our Mobile Devices Editor's desk, hidden in a dusty VHS Back to the Future box, the video cassette housing this historic piece of film depicts the Samsung Galaxy S3 going head to head with the iPhone 4S, in what can only be described as an epic He-Man vs Skeletor esque battle. If you desperately need to return to reality after that, then head over to our full, in-depth Samsung Galaxy S3 review to get the low down on the biggest phone of 2012 so far.